“Biliran is for Christ” is the battle-cry as the mission team led by Sta. 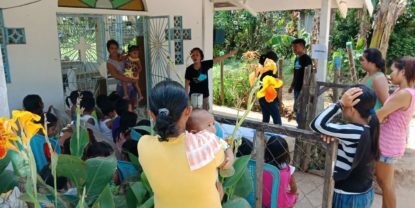 Fe Church of the Nazarene stepped in the province for the first time with prayers that out of the initial approach, a church will be born, grow and eventually multiply in the area. Biliran Island is a province located in the Eastern Visayas District. 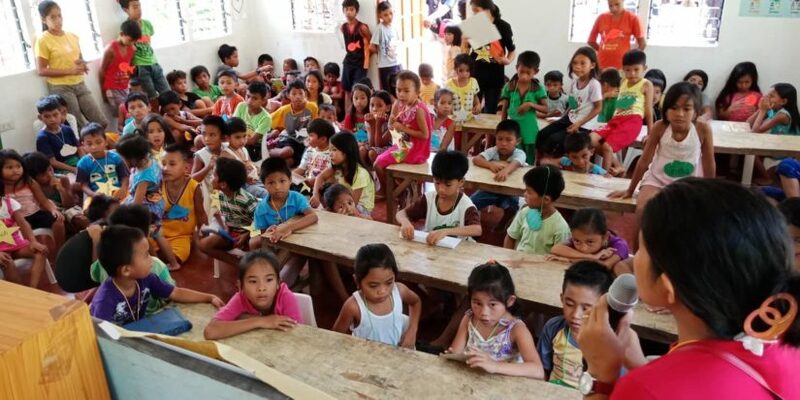 Ninety-six (96) children, aged 5-14 years old, were present and officially registered in the first Vacation Bible School (VBS) at Brgy. Caray-caray, Naval, Biliran. 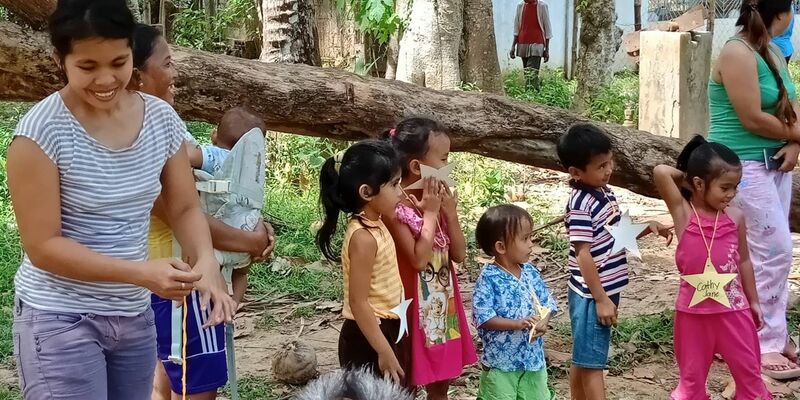 The VBS, integrated with Child Safety in Disaster (CSD), started on Thursday, April 19 and will end on April 22, 2018. Jethelyn Marco, the wife of Pastor Nick Marco (Sta. Fe), said she is optimistic the numbers will increase by the day. “By experience, 2nd day is a surge of attendance,” Jeth said. Pastor Nick Marco has no let up in leading prayers and encouraging every member of the team to spend time in prayer that God will move in the hearts of the children and their parents as the actual ministry starts in the area. Thanks to the village chief, Brgy. Capt. Jeffrey Merez, who had been accommodating to us by providing their two (2) Day Care Centers for our use of Caray-caray center being our billeting area and Sto. 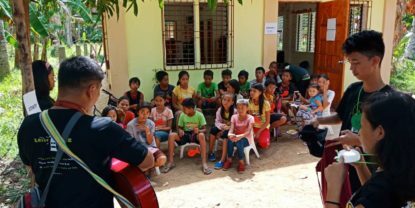 Ilawod center as the VBS venue. Kap Merez has been extra kind by dedicating a barangay vehicle used for water supply to us. The village has been experiencing water problems after Typhoon Yolanda and the situation worsened after Typhoon Urduja. There is no water coming out of faucets during the daytime. So the local government has to provide water ration regularly to affected households. Parents of the Day 1 participants have already been asking if there are activities intended for adults. We answered in affirmative. By Saturday, we will be distributing water filters courtesy of Nazarene Compassion Ministries – Philippines (NCM-P) through Nazarene Disaster Response (NDR). Most of the 300 families affected in Sto. 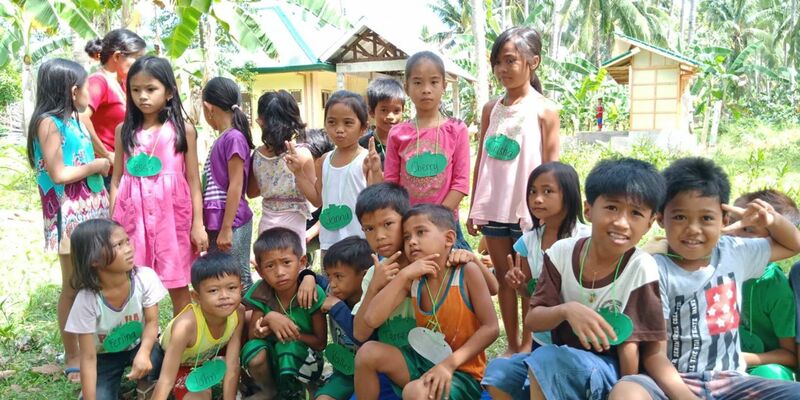 Ilawod get their drinking water directly from the faucet making them, including children, vulnerable to water-borne diseases. We will be teaching them how to use the filter, of course, after sharing to them that Jesus is the Spring of Living Water. 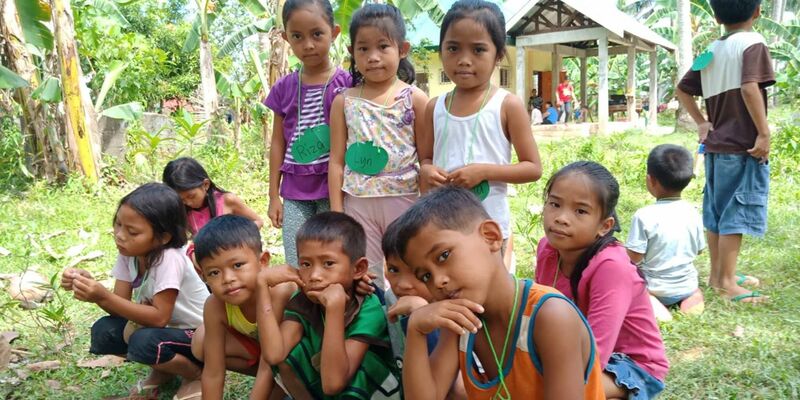 After these initial victories, it is safe to say that indeed Biliran is for Christ. That, however, does not exempt us from challenges ahead. We intend to make a long-term presence in the area. We need to support the workers who will sustain all the works in the area. We need to have faith that God will provide all the necessary elements so that we can make Christ-like disciples in this part of the district.